The Music Business has changed and now more than ever the art of making records has become more affordable for the bands and independent artists. The chance to come to Los Angeles and make your dreams come true by recording at the top notch recording studios is real!!! With our more than 17 years in relationship with recording studios like EastWest, Westlake, Capitol, Record Plant, The Village Studios, Sunset Sound, among many others, we can take you there at very competitive rates. 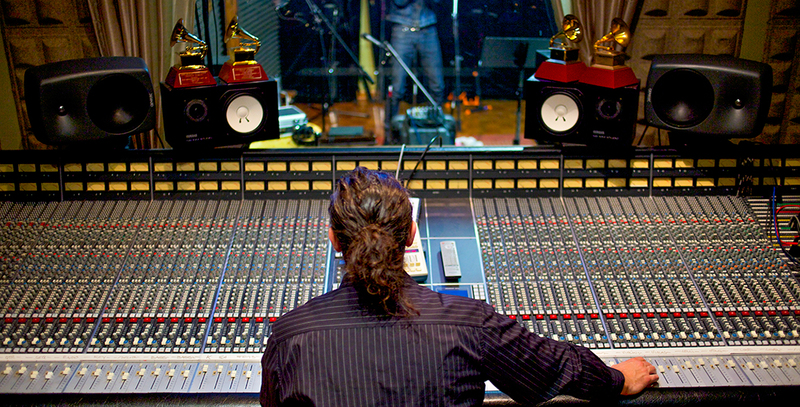 Our engineering team (4 times Grammy winner and 9 times Grammy nominated) has extensive experience in production / music recording at the highest professional level. · Music Production & Arrangement. · Possibility for your production to be presented for Grammy Awards Committee. · "A" session player musicians available upon request.